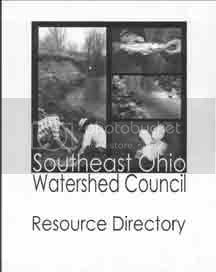 A directory of resources for watershed coordinators and watershed groups is now available from Rural Action. The directory contains contact information for groups involved in watershed management and planning, support, advocacy, legislation and more. To obtain a free electronic copy, contact Mary at 740-767-4938. Paper copies are also available for a small fee. The AMDAT plan takes a look at the entire Federal Valley Watershed: it assesses the impact of acid mine drainage, suggests treatment options, and recommends future monitoring activities. Congratulations, Lisa! A “podcast” is a digital recording of a radio broadcast or similar program, made available on the Internet. You do not need a personal audio player (i.e., an iPod) to listen to a podcast. Just click on the “play” button on the left sidebar of this page.